I was born in Selma, Alabama, but raised in Trinidad and Tobago. True to my ancestral roots, I love bold lines and bright colors, and my medium of choice is sharpie marker on watercolor paper. My artwork is a living testament to the influences of Carnival in Trinidad and Tobago, reflecting the essence of Carnival’s brilliant hues, sharp lines, dynamic patterns, and provocative themes. I started drawing with markers, and learned the fundamentals of my artistic style, back in 2002 while an undergraduate at Howard University. One day, I saw a friend working on an art piece and was immediately drawn to it because of its bright colors and unique designs. He invited me to help him with it, and over the next few weeks he taught me how to draw some of the patterns in his artwork. Then, I started creating patterns of my own, not long after he invited me to finish that first art piece with him. That is how my adventures in Sharpieland began. Currently, I am working on twelve coloring pages for a client’s book. My client is writing a book to help families who’ve experienced the death of a child, encouraging them to express their grief through art and writing. When I started this project, she gave me the titles of each chapter in her book and asked me to describe what images came to my mind. After our brainstorming session, I sketched pencil drafts of the image ideas we agreed upon. When I completed all 12 drafts, my client reviewed them with me to give her approval so that I could move on to the next phase of my creative process, committing each draft to ink. My process continues by drawing curved and straight lines to create varying sized sections in and around the focal images. Then the final step involves weaving different intricate patterns in each of the sections. To date, I’ve finished eight of the twelve coloring pages, and hope to complete the entire project by the end of May. 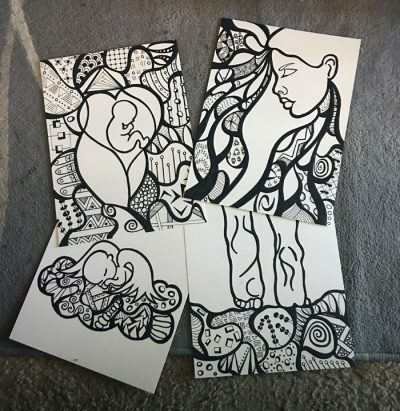 Creating art is a part-time endeavor, so I draw, digitize and produce giclée prints of my artwork at home whenever I find the time. Apart from working on commission projects I am always creating new artwork. I get inspiration from everywhere: friends, current events, books, movies, and personal experiences. Some themes represented in my artwork include religion, spirituality, social issues, feminism, pop culture, health, and sexuality. I’m writing this piece as a bit of a preview for the BloomBars: imPrint exhibition opening April 14, 2018 in Washington DC. That will feature several of my favorite pieces, including Melanin, and Our Cross. Melanin is one of thirty images from my coloring book, and Our Cross was created while I worked on my Masters in Divinity at Howard University. Hope to see you there! Andrew Noel worked as an engineer in the private and public sectors for a decade before re-envisioning her career, and completing a Master of Divinity at Howard University, followed by a Master of Arts in Spiritual and Pastoral Care at Loyola University Maryland. She also completed a residency at Shalem Institute for Spiritual Formation in Leading Contemplative Prayer Groups and Retreats, and four levels of Shambhala Meditation training from the Shambhala Center of Washington DC. 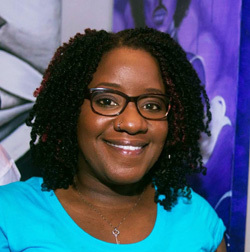 Currently, her nine-to-five career is at the National Archives Records Administration where she is a Senior Records Analyst, but she describes her life’s work as helping others go inward, realizing their deepest purpose that the world desperately needs, and reconnecting people to the one true source of life and love. Since 2007, she’s created over thirty commissioned pieces, and participated in more than thirty-five artist showcases and marketplaces. 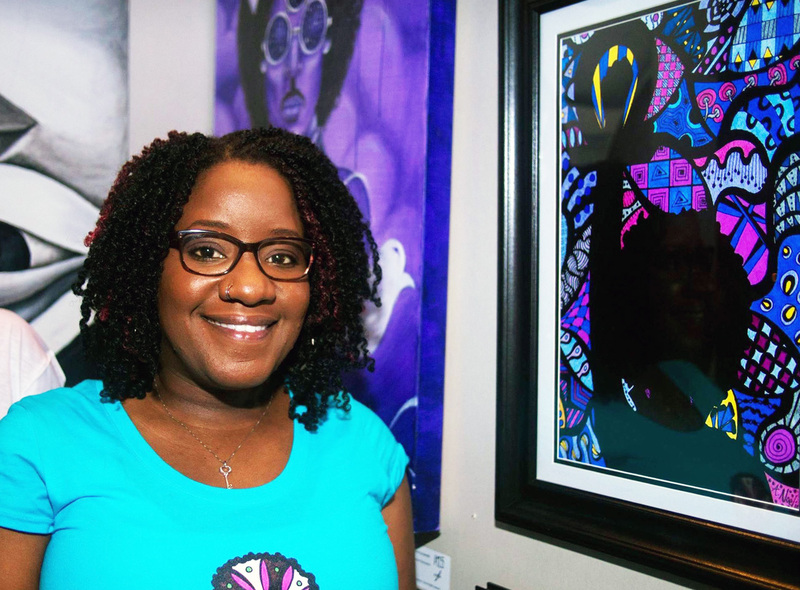 She recently authored a coloring book available on Amazon, “Kinks, Perms and Afros: A Coloring Book Celebrating Black Women’s Hair“, and has started working on images for her second coloring book, which will highlight themes in East Asian Spirituality. To follow her work in progress visit Facebook, Instagram or Pinterest @anoelcreates. You can learn more about her by visiting her website www.anoelcreates.com.